In the world of digital marketing, retargeting ads are often what moves a mediocre advertising campaign into profit and a good ROI marketing campaign into a great campaign. Facebook Retargeting is one of the more popular retargeting services available for your small business and has several dynamic uses. A retargeting campaign is the part of a digital marketing strategy that gives you a significant edge in re-engaging customers at specific parts of their journey on your site. When a person visits your website for the first time, or tenth time – they will be tracked (or pixeled) with a piece of code from Facebook called a pixel. Facebook has an excellent tutorial on how to use the pixel which you can get here for free. You can then use this pixel to know which group of people (although you won’t have specific identifying information) visited which page of your website, who added items to their cart, and who purchased items. This data allows you to show ads to these people based on the specific actions they take (or did not take) on your site. Who Can I Retarget with Facebook Retargeting Campaigns? When it comes to who you can retarget you are only limited by your imagination and the initial traffic to your site. Remember, you won’t know the personal data of any person that you are retargeting, but you will know the exact behavior of people on your site. Because of this you can retarget any visitor or group of visitors who come to your site. Retarget people who visited your blog with more relevant content that is designed to get them to buy. There’s a ton more you can do with retargeting – it really is only limited by the initial traffic you get and your imagination. However just like with most digital marketing skills, there are a lot of ways to implement Facebook retargeting and it can get overwhelming fast. That’s why you should start out with what is arguably the most important retargeting campaign – it’s fairly easy to set up and you can see what kind of results you’ll get within a few days. 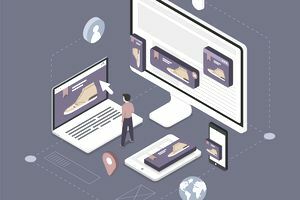 Most businesses will want to set up their abandoned cart or abandoned form sequence as the first retargeting campaign they try. This sequence will almost always allow you to capture revenue from the people who visit your site who were the most interested in your offers. They took the time to add to cart or fill out a form, but didn’t take the next step such as purchasing, registering for a webinar, or making an appointment. This is what is known as a “hot audience” because they’ve already signaled purchase intent. If you’re a plumber and have a site that gathers leads and allows people to book your services, the Facebook pixel would allow you to know who filled out a form, but didn’t book a service and serve that particular group of people an ad giving them an incentive to book an appointment. The incentive you offer to get leads may be something like “Get a free plumbing health inspection when you schedule an appointment with XYZ plumbers” – then the ad would take them to a form to book an appointment online. For most retailers about 70% of their add to carts won’t lead to a purchase. This is a very frustrating statistic, but a Facebook retargeting campaign can help to recover some of this revenue. With the Facebook pixel you can know who the group of people is who added to cart, but didn’t buy and then serve them ads to encourage them to finish buying the product they added to their cart. You can even do this automatically in facebook using a type of ad called a dynamic ad with a product catalog. This combination along with the cart abandonment set up allows Facebook to serve ads based on the exact product the customer had added to cart. Retargeting is a powerful technology that allows you to create virtual lists of people who have visited your site and serve them ads based on the behavior on your site. If you have any traffic to your website at all, then you should consider using retargeting to further your relationship with your potential customer.